I always like to be organized in life. Between school, cleaning schedules, meal plans, and other activities I always feel like I’m going to forget something. In the past I have tried the agendas that they give at school and even attempted electronic scheduling apps. However, I really haven’t found something that works for everything…until now. 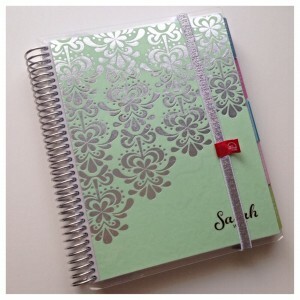 I got my Erin Condren Planner at the end of January. I had been feeling really flustered and scatterbrained through January, and I was just looking for something to keep me organized every day. So far this planner has done just that. The planner I picked has a personalized cover page that is removable/interchangable. This is great because if I ever get a new planner I can switch out the covers, and if the front page becomes too worn I can switch it out. It also comes with a metallic elastic to keep the planner closed and a variety of clips, sticker, and pockets (including a zippered one) to keep everything together and organized. My favourite part about this planner has to be the inside layout. The tabs make it easy to find the month I’m looking for if I’m scheduling something in the future months. I also like how there is a plain calendar view at the beginning at each month that I can place vacations, birthdays, and any big events coming up. My one problem with previous agendas or electronic systems is there never seems to be enough room for me to put everything that is going on. This planner fixes that problem and keeps everything organized. Their weekly view has 3 boxes for each day (morning, day, and evening). This is really helpful to plan out my day without having everything jumbled in a single box. It also has a separate place for notes every day and a side area to write general week notes. This is really handy since I can make meal plans for the week which are separate from my daily activities. I use the weekly sidebars for any studying chapters I need to complete for school without cluttering my weekly schedule. The planner also has a bookmark style marker which attaches to the coils and helps you quickly turn to the current week. 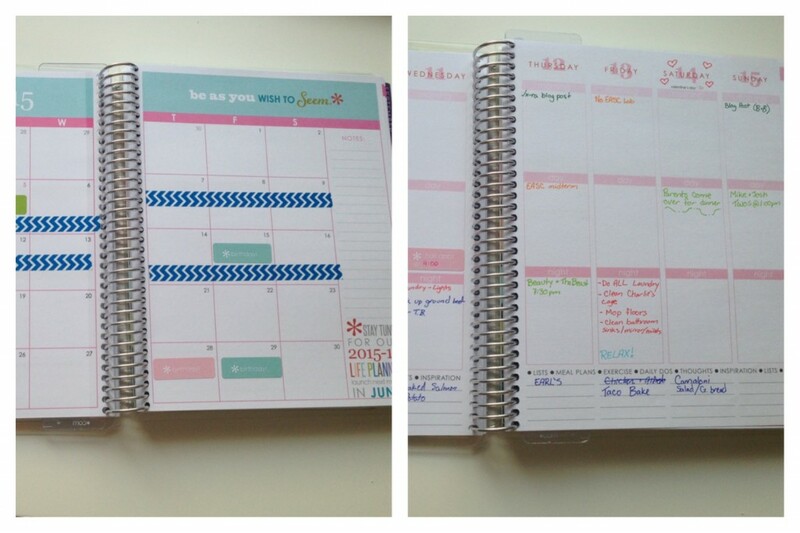 I think the Erin Condren planner has worked really well for me so far. I’ve been feeling more organized and on-top of my schedule. The planner is on the more pricy side, but I honestly think it’s worth the extra cost. The planner is very high quality and really durable (especially since I toss it into my backpack daily). I also used a coupon code to reduce the cost slightly. If you are interested in getting a planner or anything else from Erin Condren, you can click here to get $10 off your first purchase from the site. I’ve really been loving this planner so far, and maybe I’ll even do an in-depth planning post on how I keep everything organized. Disclaimer: This is not a sponsored post. The planner was bought by myself and all opinions are my own.